RowanSOM Research Day highlights the groundbreaking research at RowanSOM, GSBS, and the collaborations with our academic, clinical, and corporate partners. For more than 20 years, we have celebrated the efforts of faculty, staff, interns, residents, fellows, and students as they work toward improving patient care through research. You are invited to submit poster presentations of research projects or related professional activity. Poster submissions from all campuses at Rowan University are welcome. Submission deadline is Monday, April 15, 2019. Would you like to attend Research Day, but don't plan to submit a poster? We would love to see you, register to join us today! Registration deadline is Monday, April 15, 2019. Yes, I Plan to Attend! Dr. Friedman is a neurosurgeon in Durham, NC, and is affiliated with Duke Health Center of Clayton, as well as Duke University Hospital in Durham, NC. Dr. Friedman has been featured on “60 Minutes” numerous times to highlight his work of utilizing polio virus to treat glioblastoma. Lunch will be provided after the keynote. 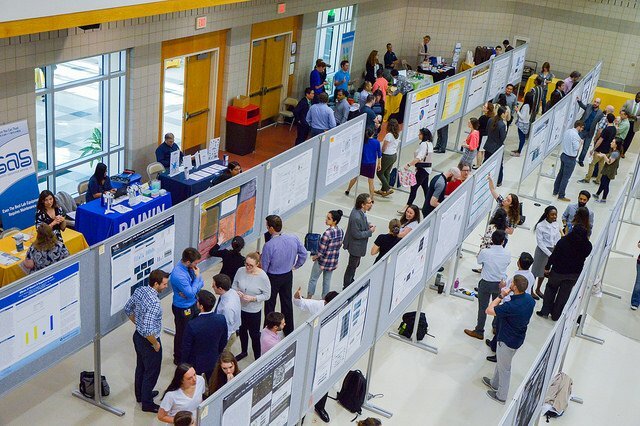 Click here for the 2018 Research Day recap. The Rowan University School of Osteopathic Medicine is dedicated to providing excellence in both undergraduate and graduate medical education, research and health care for New Jersey and the nation. Copyright © 2019. All Rights Reserved. Consumer Disclosures.